“Moore insists he isn’t making a direct comparison between Trump and Hitler but rather making ‘a serious point about fascism,'” the article continues. Self-proclaimed socialist Alexandria Ocasio-Cortez will also appear in the film along with far-left House hopeful Rashida Tlaib, who is running for Congress in Michigan. The THR article notes that Moore even did some door-knocking for Tlaib. 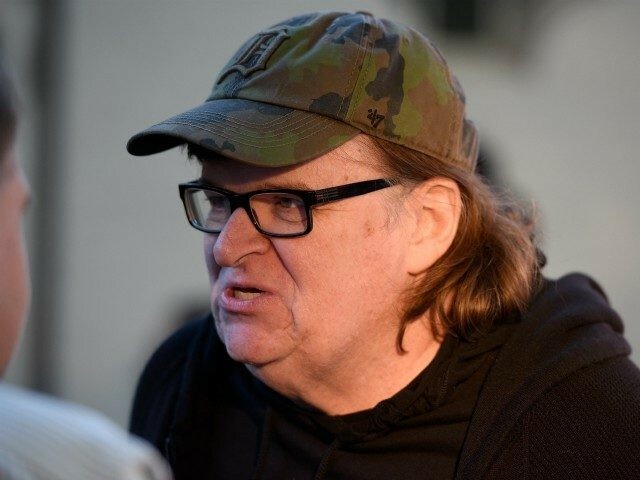 Moore has long been a critic of President Trump and conservative causes. In February, he called the National Rifle Association a “terrorist organization,” and implied it was worse than ISIS. “The NRA is a terrorist organization. The media should speak of the NRA in the same way they do ISIS. Total ISIS-inspired deaths in US = 79. Thanks to the NRA & the politicians they buy, we’ve had 1.2 MILLION American gun deaths since John Lennon was shot dead in NYC NRAKillsKids,” he wrote. Moore also recently called for “non-stop aggressive action everywhere” to prevent the confirmation of Brett Kavanaugh to the Supreme Court. “We are the majority and we must never give up. No matter what the odds, basic morality demands our engagement NOW!” he said in an Instagram post.